Everything you need to throw a party is listed here in this helpful children's birthday party guide in New York. Whether you are looking for entertainers, decorators, caterers, fun party ideas or just a place to have your next party, you will find listed here all the stuff for kids' parties NY has to offer. New York party places offer a great way to have a fun kids party without there being any mess to clean up in your home! 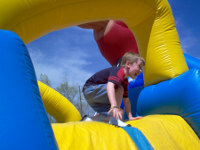 Find a list of all the top childrens birthday party places in New York here on FunNewYork.com. 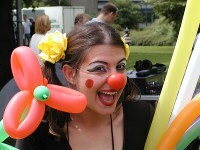 Find the top children's party entertainers in New York. 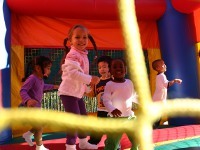 Throw your child an unforgettable party when you hire one of these kids birthday party entertainers NY. Find the many kids party rentals New York has to offer for your next event. From moonbounces to dunk tanks, find the best New York kids party rentals. Find parties for young children NY when you use this helpful guide. 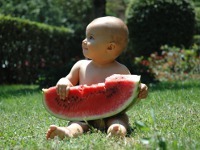 Need party ideas for your toddler or crawler - check out this lit of parties for little ones NY. Find all the birthday party services in NY you need in this helpful guide to caterers, DJs, limos, entertainers and much more. Have the best party possible when you use this guide to party services in NY. 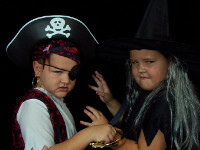 FunNewYork gives you an organized list of great themed childrens parties in NY. Whether your child wants to be a princess or a pirate, a ballerina or a cowboy, you can find the top themed childrens parties in New York here!